HyperCam for Windows 10 - A useful software tool designed to capture the PC screen. 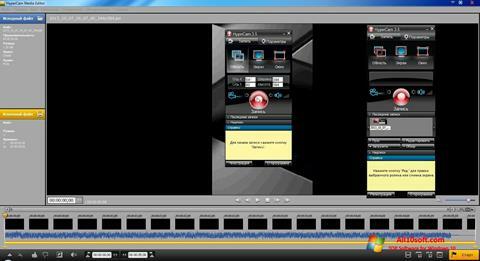 Allows you to record video and audio, take screenshots. The composition has an easy-to-use editor with which you can process the received content. Directly from the main window, you can upload the project to YouTube, to social networks. The program can be used to create presentations, training videos, demonstration clips. Suitable for recording gameplay or a fragment of the movie being played. It can capture the entire screen, active or arbitrary area. You can free download HyperCam official latest version for Windows 10 in English.